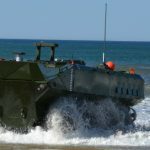 The Government Accountability Office has called on the U.S. Marine Corps to ensure that the contractor should achieve manufacturing readiness level 8 across all risk areas before entering the second phase of low-rate production for the first increment of the proposed amphibious combat vehicle. GAO said in a report publicly released Tuesday it made the recommendation as program officials prepare to pick a single contractor for the ACV 1.1 program, begin low-rate production in June and commence the second LRP round a year later. The Defense Department’s guidance for weapons procurement production states that MRL 8 should be achieved across design, quality management, materials and process capability and control risk areas prior to the LRP phase. The congressional watchdog recommended that the ACV 1.1 program reach MRL 9 before the service decides to move the program to full-rate production by 2020. 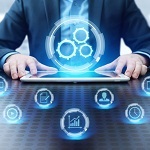 Failure to meet those recommended readiness levels prior to the start of low- and full-rate production phases could potentially result in delays and cost increases, according to the report. BAE Systems and Science Applications International Corp. received contracts worth up to $225 million in 2015 to build ACV 1.1 prototypes for the Marine Corps. Tags ACV amphibious combat vehicle BAE Systems Defense Department DoD featured GAO govcon Government Accountability Office low-rate production manufacturing readiness level MRL SAIC Science Applications International Corp U.S. Marine Corps.